Only 42 more sleeps before CHristmas so I am going to make Christmas pudding and cake this week. Don’t forget you can cook along with me. It really is fun. 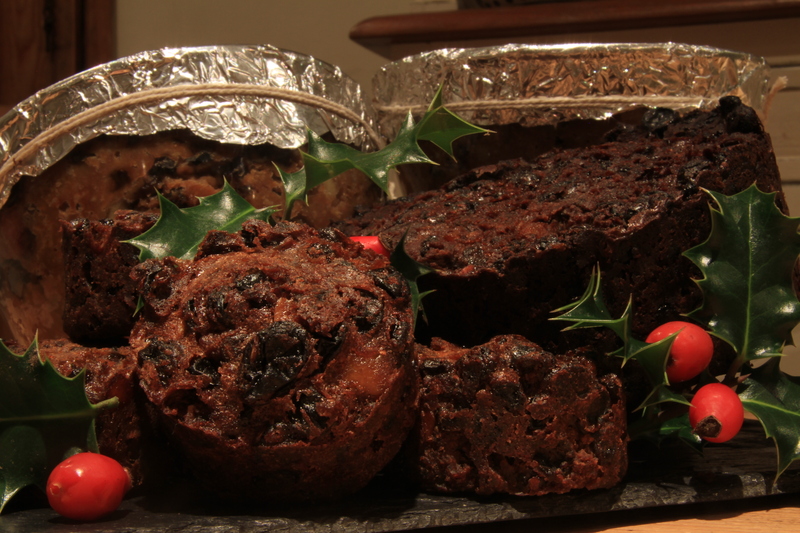 Well I’ve made 2 Christmas puddings, 10 little Christmas cakes and a big Christmas cake. I had a bit of help from my Granny who invited me over to bake with her. We used an old recipe that she uses every year and we put a five pence piece in the puddings for luck. It was a hard bake because I had to stir the cake ingredients for a long time and because the fruit was soaked with alcohol it made it very heavy and hard on my arms. The bake took two days to do because I had to leave the fruit to soak up the brandy. When all mixed and put into the bowls and cake tins the puddings were cooked for five hours and the big cake took four hours to bake. The recipe for the cake was for a big cake but I made some small ones as well and had to guess the cooking time which was about an hour. The puddings have now been put away until Christmas but the cakes get injected with brandy every now and then. In a couple of weeks I will ice the cakes and decorate them before giving them out as presents.